The intention is to have professional people together on this Event Day and to offer you the opportunity to get acquainted with their specialty (s) in a safe, warm and pleasant environment. See also the intention description (Dutch). – At 11:45 am there is a POWERhealing of 45 minutes where you can surrender yourself to experienced healers and their healing powers. This can be both mental and physical. – A super unique *SPEEDreading where you, as a visitor, get 3 readings of various psychics/mediums in 15 minutes. – There are lectures in which a specialized event participant takes you into his/her field and shows, tells and/or let you experience more about it. – There is 2x a FREE lottery through your admission ticket where you (get a nice prize) can win a nice prize that was donated by our participating specialists. You also become acquainted with this person/donor. 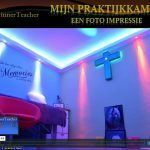 – You can also buy your entrance online tro www.innerTeacher.nl/Winkel. – Children 0 to 9 years free admission (under the supervision of an adult). What can you find by us? – The invitation to feel at home and experience what it feels like to come into contact with, and to be, with a group of people whose intent is to support you on your life path without prejudice. – Many different disciplines in various known and unknown areas. – Sale of physically and mentally supporting products and qualities. – You want to find people (or counselors) who help you discover your own special skills and help you heal/change what prevents you from leading a happy(er) life. – You want answers to questions that you will not receive (clearly) answered elsewhere. – You would like to be helped in your search for answers by a person who exercises his/her field from ‘the heart’ with the intention to help you forward. – You want to spend a day out, gain (new) experiences and be amazed by our specialists. We make contact with each other from Soul to Soul. Every (un-) faith is welcome on this day. No belief is proclaimed. For every person who experiences mental or physical challenges in life, there is the possibility to meet a suitable counselor/specialist on a paranormal and alternative level. 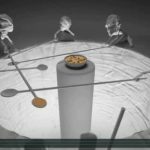 *Do you want to join the SpeedReading as a visitor (get a SpeedReading)? 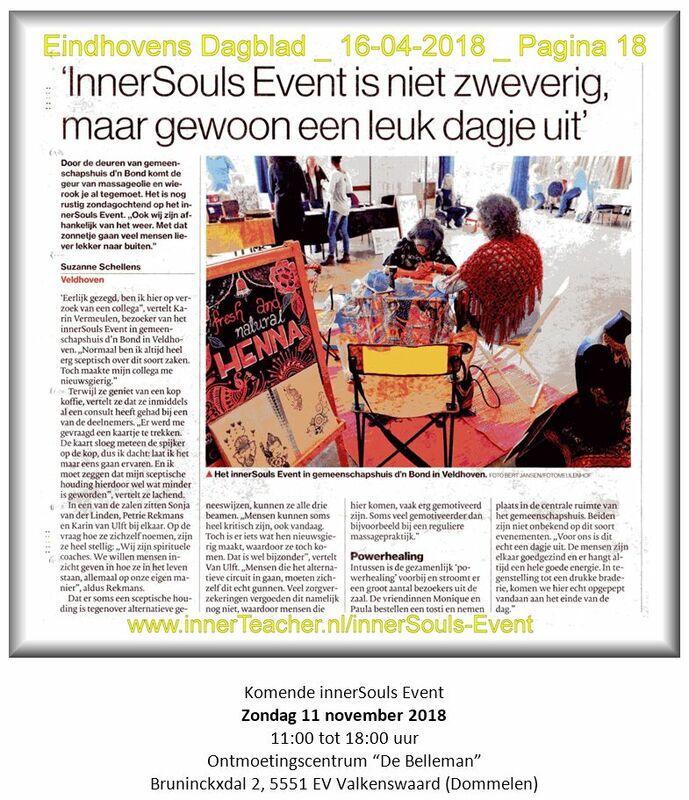 Do you want to register as a participant for our innerSouls Event? If I have received your registration form and I do not know you then I would like a personal interview. We then check if there is a click. I’ll call you for an appointment. Presentation films of participants who are (already) on YouTube. innerSouls can also be found on Facebook. Anything unclear or questions? Don’t Mail, WhatsApp, Chat or Text. Just call me. Would you rather not call? Then use the contactform (Dutch form).